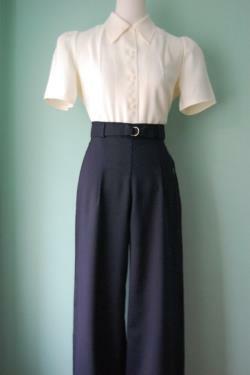 You are looking at 1930s-1940s vintage style belted wide leg wool gabarine slacks. 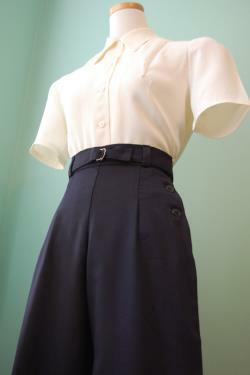 Made from vintage pattern and i will custom make for your size. 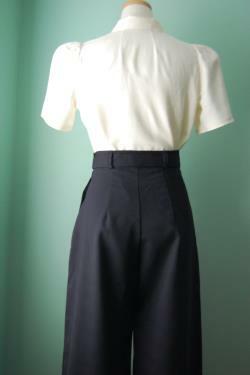 Beautiful medium weight 100% wool gabardine fabric and nice vintage fish eye buttons. 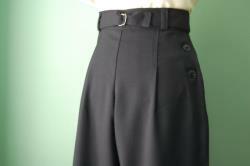 Unhemmed, so you can adjust length for yourself or if you it need hemmed just let me know. 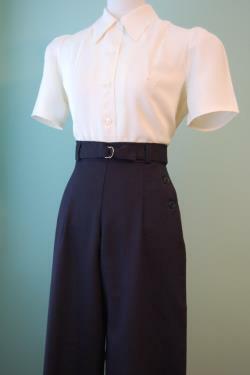 Pants length - 49 inches (unhemmed, you can adjust to your own length). Please message me if you have any question. I need at least 2 weeks for this item. Also, if you have another color request just ask me please.